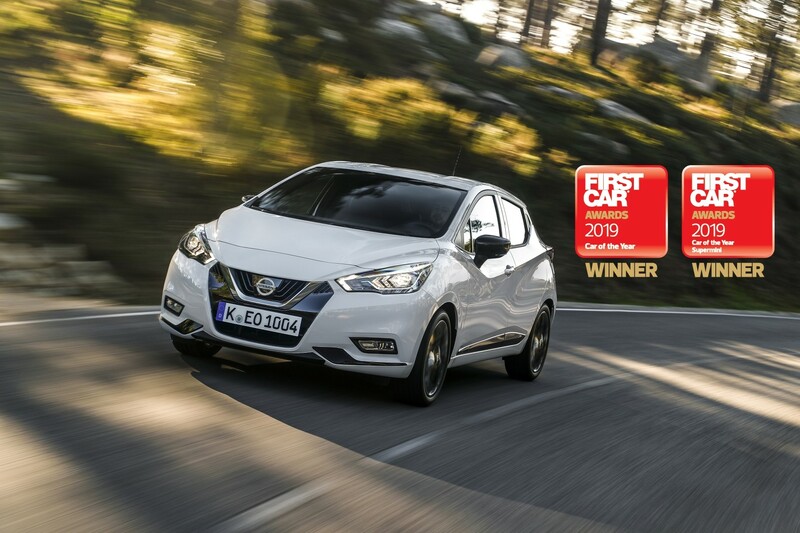 FOR the second year running, the Nissan Micra has won overall ‘New Car of the Year’ at the 2019 First Car awards, as well as winning the inaugural ‘Supermini of the Year’ category. The ‘tech advanced small car’ helps deliver confidence to new independent drivers thanks to impressive standard-fit safety features and affordable cost of ownership. Bluetooth® with audio streaming, USB port and AUX socket – all fitted from entry-grade – enhance the model’s desirability with young drivers. For 2019, the Nissan Micra has been updated with two new 1.0-litre petrol engines (100PS and 117PS), a new Xtronic automatic transmission and the introduction of a new N-Sport grade. The new engines deliver more power but also improved efficiency and enhanced refinement and on-road performance. The new NissanConnect infotainment system with Apple CarPlay and Android Auto (from Acenta grade) lets drivers remain connected and in control of their entertainment on the move. Supporting new drivers on the road, the Micra maintains high safety standards with all models fitted with Intelligent Emergency Braking with pedestrian recognition, Intelligent Lane Intervention, Lane Departure Warning and High Beam Assist. Thanks to these important technologies, the Micra is awarded a five-star EuroNCAP safety rating in the UK. The awards recognise the best products, services and cars for newly qualified drivers with 17 awards categories ranging from ‘App of the Year’ to ‘Finance Product of the Year’. Cars were judged on safety, reliability, value for money, affordability, ease of driving, and practicality. The scope for personalising the car and the availability of high-tech features also contributed to the judges’ decisions. David Motton, editor, FirstCar magazine, commented: “The Nissan Micra is a worthy winner of both the Supermini of the Yearand the New Car of the Yeartitles. We’re delighted that Nissan has made big-car safety features like autonomous emergency braking standard on the Micra. What’s more, fuel-efficient engines and low insurance groupings make the Micra affordable to run, even on a tight budget. “The Micra is easy to drive – just what a new driver wants as they build up experience on the roads. There’s also lots of scope for drivers to personalise the look and finish of the Micra, inside and out. “Having won the Car of the Yeartitle at the FirstCar Awards last year, Nissan hasn’t taken its foot of the pedal. For 2019 the Micra has new and more efficient petrol engines, an automatic gearbox option, and a new N-Sport specification with design and technology upgrades.